Standard broadband cable TV splitters have an operational bandwidth from 5-1002Mhz. The Modem return band enhansed performance in the 5-30MHz frequency spectrum. Center conductor seizing surface is greater than other device's surroundiing contact area. Providing long term trouble free signal transfer between the coaxial connector and the splice adapter. Nickel plated, zinc die-cast housing with soldered back plate provides -120dB of RFI integerty. All f ports are highly precision machined with SCTE compliant threading and are spaced on 1" centers. 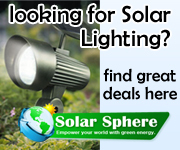 All ports are enviromntal sealed and to withstand 15 psi of internal pressure. All ports are flat topped to increase the ground and interface seal comply to all existing SCTE standards. Non-memory retaining beryllium copper center conductor CAMPORT™ seizing pin holds fast to coaxial center conductor. 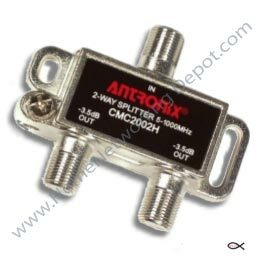 The Antronix CMC2002H series broadband splitter has been specifically designed to be fully compliant to the requirments of D3 (DOCSIS 3.0) & D2 (DOCSIS 2.1) Cable modem operatios. The device equally splits and distributes CATV and OTA HDTV video to up to two (2) devices. .